Super heroes, super villains and Utopia/The Sound of Drums/Last of the Time Lords (2007) | Randomwhoness: a Doctor Who blog by Johnny Spandrell. Sampling stories in random order. Each of the first few years of new Who resurrected a classic adversary from the series’ past. Year one: Daleks. Year two: Cybermen. In retrospect, it seems obvious that year three’s returnee should be the Master. But it didn’t feel like that at the time. Because there’s always been an ambivalence about the Master. Sometimes he’s a dark yet fascinating mirror image of the Doctor. Sometimes he’s a plug and play villain with a penchant for theatrics and over complication. It would not have been inconceivable for new Who to leave him buried in the time war. But as the new show’s third year progressed, there became something increasingly heroic about the Doctor. I mean that in the sense of him being a super hero. With David Tennant in the title role, he becomes a man with super powers. He can grow back severed limbs. He can go for a mental stroll through people’s minds. He can expel radiation into his shoe. And of course he can disguise himself as a human. In Utopia and The Sound of Drums there are loads of shots of him running around to save the day, coat flapping in the breeze like a cape, sidekicks running slightly behind. You half expect him to fly. The Master says that he was resurrected as the ultimate warrior for the time war. But in production terms, he was resurrected for exactly the same reason that Barry Letts and Terrance Dicks created him in the first place. By series 3, the Doctor’s a super hero and so he needs a super villain. Showrunner Russell T Davies would have been well aware of the mixed feelings around bringing the Master back. So he does exactly what he did with the Daleks and the Cybermen; he renovates him. In the Master’s case, the first challenge is to cast a brilliant actor in the lead role, someone who can provide a gravitas to the role and improve its respectability, in the same way the casting of Christopher Eccleston had done in year one. But this year, Davies went one better than finding a top class actor for the role; he found two. The first is Derek Jacobi. As Professor Yana, he’s a kindly, doddery old soul. As the short-lived version of the Master, he’s a raging beast, freshly awoken and hungry. His fury is palpable from the moment he turns on his horrified assistant Chantho (Chipo Chung) who’s just pulled a gun on him. “Now I can say I was provoked,” he says chillingly, although he’s clearly a man who answers to no one for his actions. He rails against her stupidity and leaving him trapped for years. Just before he zaps his insectoid helper with a live cable, he hisses out the words that many suspected but few dared to definitely guess until he said them out loud: “I… Am… The Master!” Electrifying. Still one of new Who’s best moments. 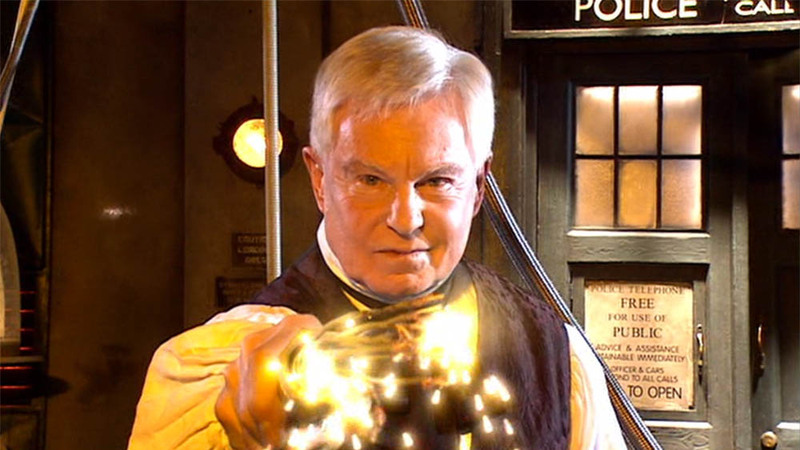 It’s a sign of how well Doctor Who was doing in 2007 that it could book Sir Derek Jacobi for one episode, have him play the Master for a few minutes, then burn right through him. But in only a few minutes he brings something new to this most familiar of characters- a seething resentment for the years he’s lost. This is a Master who feels hard done by. And when he regenerates, it’s not just a matter of life-saving expedience, it’s an act motivated by jealousy. “If the Doctor can be young and strong, so can I!” he declares. And in a flash of light, he looks like John Simm. If Jacobi’s Master’s defining characteristic is anger, Simm’s is an ongoing delight at his own cleverness. He’s so pleased with his evil plan to take over the world, that he can’t help laughing, dancing and clapping his hands in joy. He’s a jokey, jovial madman. 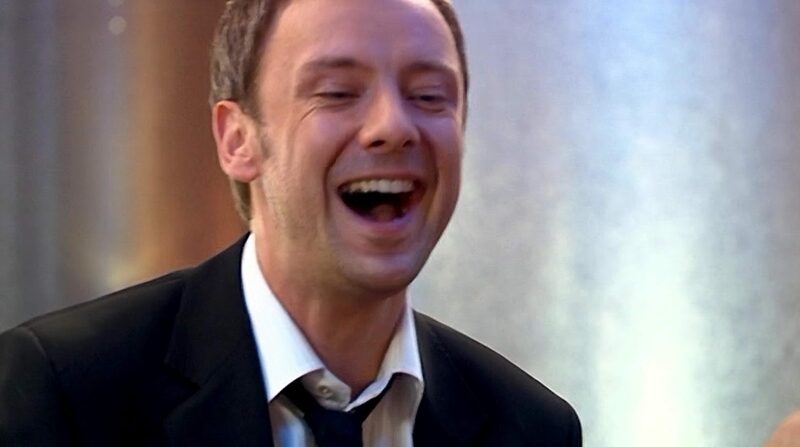 Davies has said that his aim was to make the Master as charming and charismatic as Tennant’s crowd pleasing Doctor and he got it spot on. Simm proves to be the first guest star of the new series who gives a performance which outshines the Doctor. In The Sound of Drums, the Master is an entertaining bad guy, one you can’t help but like. In Last of the Time Lords, he becomes a hateful despot; a mass murderer, a bully, a torturer and a wife beater. In a series first, we get to see the consequences of the Master winning, and they’re not pretty. It’s clever of Davies, because one of the weaknesses of old Master schemes in which he threatened to take over the Earth – stories like The Claws of Axos and The Sea Devils, specifically mentioned here – was the nagging doubt about how a nutbag like him would manage to dominate an entire planet on his own. The answer given here is by totalitarianism on a grand scale. He’s Kim Jong Il but with killer floating globes from outer space. Such an epic plan requires a reset switch of epic proportions. Best not to stop to think about Martha (Freema Agyeman) travelling the world solo and spreading her story to get the world’s population to pray to the Doctor at a specific time. Best also not to look too lingeringly at those closely framed shots of a few extras, attempting to show a planet full of people chanting “Doctor”. Best also not to think about how the Doctor uses the psychic energy to restore himself from a stunted, wizened elf to a flying, laser beam resistant super being, complete with a new costume. Well, he is a super hero these days. All that’s just window dressing though. I think the cleverest part of the story is how in defeat, the Master finds a way to wound the Doctor. Throughout the story, the Doctor’s been explaining to the Master that they are the only Time Lords left, pleading that they only have each other. In a funny way, the Doctor longs for them to be together, in a way that the Master clearly doesn’t give two hoots about. When the Doctor talks mournfully of Gallifrey burning, all the Master can do is marvel at the idea of its destruction, almost lustfully. So it makes perfect sense that the Doctor wants to forgive the Master for his heinous crimes, because he wants them to coexist. Perhaps even cohabitate, as the Doctor suggests as the Master’s captured. The Doctor’s so desperate not to be the last of the Time Lords he’ll save the Master and let him move in. But when he’s shot, the Master finds that by deliberately letting himself die, he’s denying the Doctor the thing he most wants: companionship. “I win!” he smiles as he dies. For him, it’s always been a contest. For the Doctor, a rescue mission. It ends with the Doctor burning his old frenemy’s body on a pyre and a red fingernailed hand salvaging a mysterious ring from the ashes. It’s a comic book style ending. But that makes sense. ‘Cos comic books are where you’ll find super heroes and super villains. LINK TO The Stones of Blood: as per last time, the post-coital scenes. NEXT TIME: One man’s law is another man’s crime. We’re heading Inside the Spaceship. I don’t care what Russell says, these are two stories, not one three-parter. Hello Velvet Jacket and thanks for commenting! Yes, I think I agree with you. Some time ago I decided, for the purposes of this blog, that I’d go with DWM’s decision about what’s a story, what it’s called and how long it is. I can’t quite recall why. Except I can’t bring myself to call the first Dalek story The Mutants. I just can’t!